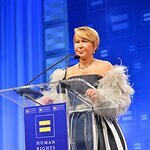 Today, the Human Rights Campaign (HRC) — the nation’s largest lesbian, gay, bisexual, transgender, and queer (LGBTQ) civil rights organization — announced that U.S. Senator Kamala D. Harris will speak and two-time Emmy Award-winning actress Uzo Aduba will be honored at the 21st annual HRC National Dinner on Saturday, October 28, 2017, at the Washington Convention Center. A lifelong public safety and civil rights leader, U.S. Senator Kamala Harris was the first African-American and first woman to serve as Attorney General of California. She is also the second African-American woman in history to be elected to the United States Senate. Throughout her career as a prosecutor, Harris was a tireless advocate for voiceless and vulnerable Californians — including those in the LGBTQ community. Harris is a graduate of Howard University, America’s oldest historically black university. HRC will honor Uzo Aduba with the HRC Ally for Equality Award. The award recognizes the outstanding efforts of those who publicly stand up for the LGBTQ community, committing their time and energy to improve the lives of LGBTQ people and advance equality for all Americans. 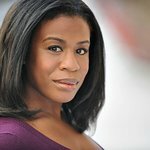 Known internationally in part for her celebrated role as Suzanne “Crazy Eyes” Warren in the groundbreaking series Orange is the New Black, Aduba is an outspoken ally for the LGBTQ community who credits the show with helping educate her — along with the rest of America — about many of the unique challenges LGBTQ people face. While acknowledging the improvements that have been made, Aduba has also taken a public stance in calling for greater diversity in television, including a need for more authentic stories of LGBTQ people. The child of immigrants from Nigeria, Aduba has also spoken out about the marginalization and persecution of the LGBTQ community in Nigeria. The 21st annual HRC National Dinner is expected to draw nearly 3,600 guests. Further announcements on additional speakers and special guests will be forthcoming. Tickets and more information can be found at www.hrcnationaldinner.org.